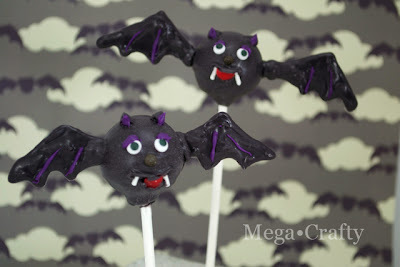 Although these bats look too sweet to bite anyone (I guess that's what happens when bats are made out of red velvet cake). It's probably better to be safe than sorry, and take a bite out of these vampire bats before they try to take a bite out of you! 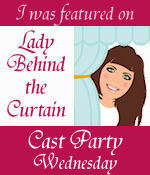 And while the wings might look gravity defying, there's and easy trick to sticking them on. 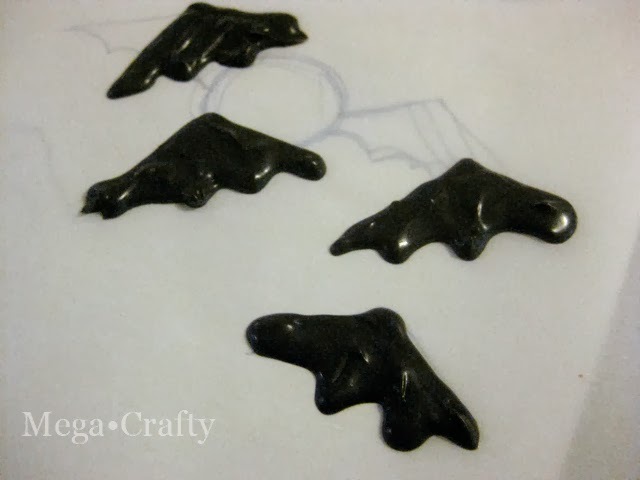 I started by piping bat wings onto parchment using black candy melts. While those were hardening I coated the balls in the same candy melts and decorated each one with candy eyes, a mini chocolate chip nose, cinnamon candy mouth, and white sprinkle fangs. 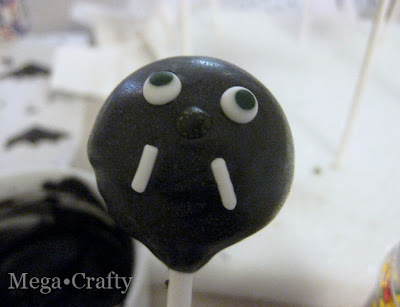 Then I piped some black candy on top for ears, and used a toothpick to create the outline of the mouth. 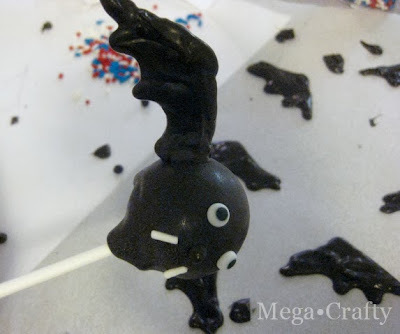 To add the wings I dipped each one into the melted candy and stuck it onto the side of the pop. 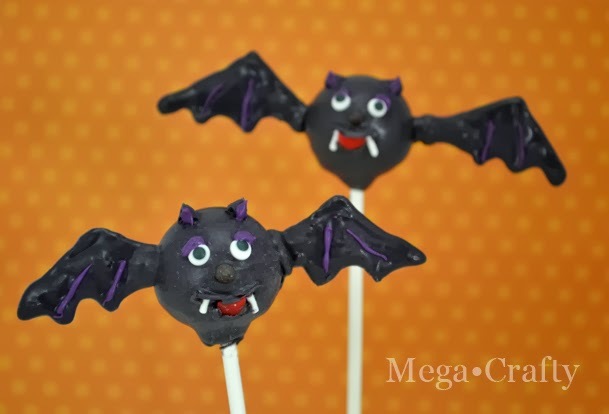 The trick to getting them to stay was to dip into chocolate that was slightly cooler (that way it sets quickly) and hold the pop sideways while the wing sets. Use a finger or two to gently help the wing balance in place until the candy is hard enough to hold it. 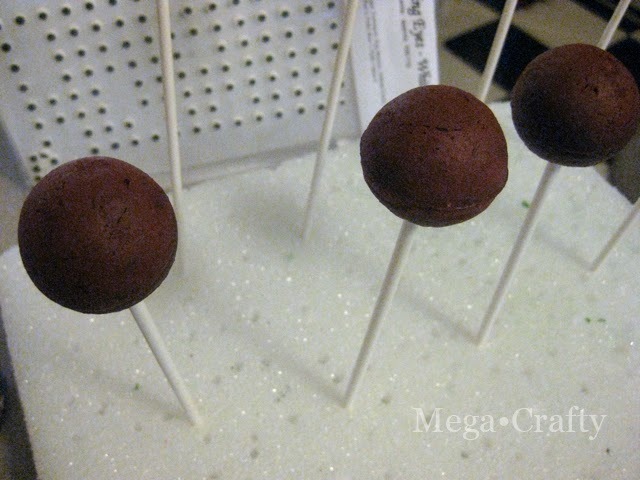 Once the wing stays position on it's own, you can turn the pop over and add the second wing. 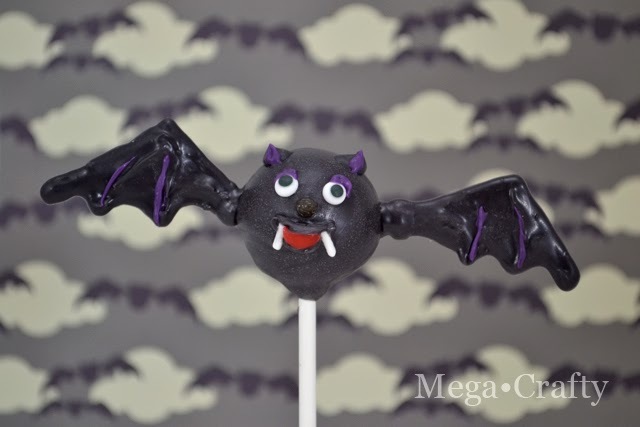 Last but not least, I added some purple candy melt accents to the eyelids, ears, and wings. As much as I hate bats, these are adorable!